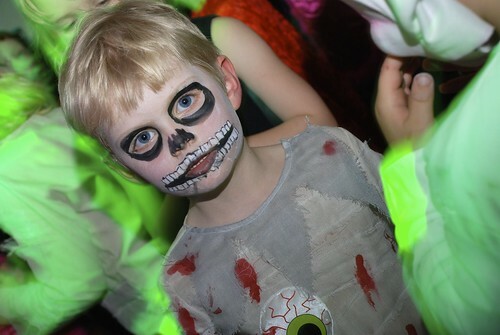 Last Friday was our annual Ambergate School Spooky Disco. 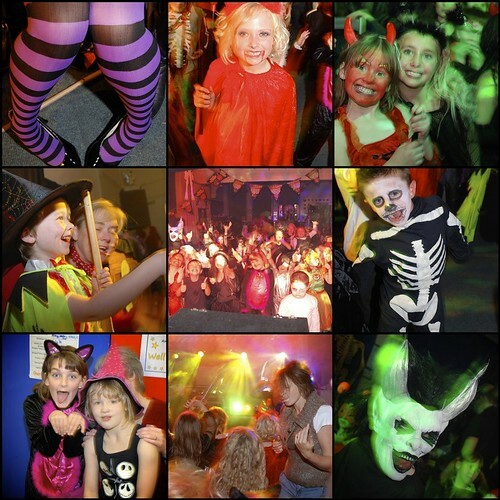 It was a bit earlier than normal, it is usually closer to Halloween, but double bookings and half term got in the way. The Friends of Ambergate Team organise it as a social event for all the pupils at the school so we provide the food for the Spooky Buffet and as usual I did some cheesy straws so there was at least one savoury item other than Twiglets…Robert. 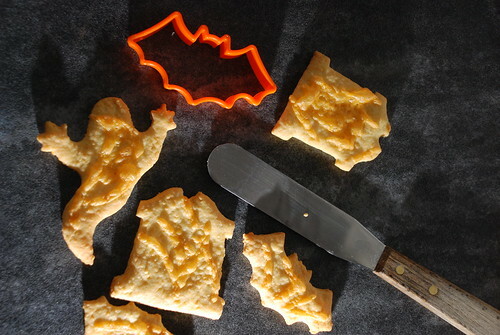 The recipe is in the comments section below for any desperate for scary snack items. There was a good collection of halloweeny cakes and cookies too from the rest of the parents to charge the kids up with sugary goodness for the evening. 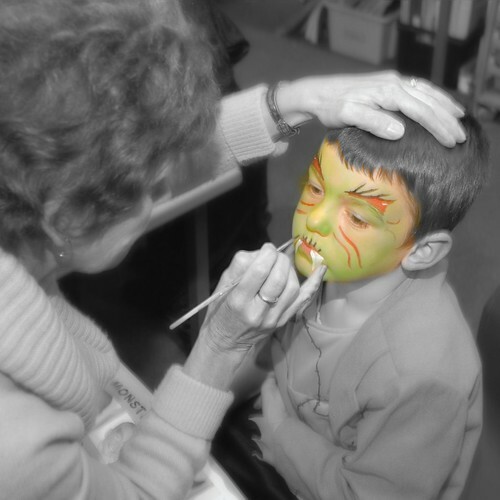 Steph and our Headmistress Mrs Webster provided face painting for the evening and Gazza’s Disco provided the entertainment. Luckily this year the electricians have been to improve our electrics so Gazza didn’t blow the fuse with the huge amount of lights and effects that he brings. As usual everyone’s costumes were fantastic and a big effort was made to decorate the school too…and to clear it up afterwards. This is my favourite photo of the evening. This little boy came over to me when he saw my camera and stood beautifully still in the midst of all the crazy dancing to show me his newly painted face. Hopefully all the kids (except for the little ones who thought it was a bit loud) enjoyed themselves and are up for more spookiness next year. As with all my best recipes this one is from the cookery cards we used to use in Primary School!